. Defense Minister Yamoussa Camara said at the start of the week-long meeting that the conference is a meeting of harmonisation which must lead to concrete proposals for the adoption of a strategic plan to liberate the north of the country. The plans are to be presented to the UN at the end of November. 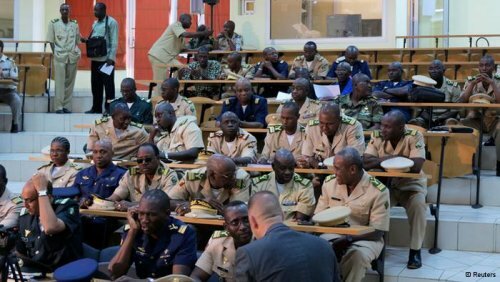 The conference will discuss the improvement of the Malian army, which is under-equipped and demoralised after its defeat by the Tuareg fighters whose nationalist revolt in January and activated the country’s rapid implosion. A group of angry soldiers had expelled the government in Bamako in March, which allowed the vast north to fall into the hands of Islamic extremists who sidelined their erstwhile Tuareg allies. ”War is inevitable against the terrorists in northern Mali, even if all wars end around the negotiating table,” said Camara. The soldiers were not happy at the way the government had been handling the rebellion the North of Mali. On 12 October, the UN Security Council had approved a resolution urging the Economic Community of West African States (Ecowas) to speed up preparations for a force of over 3 000 troops that would attempt to help recapture northern Mali. Up to 26 November had been given to Ecowas in order to clarify its plans. Ecowas representative Abdou Cheick Toure said hope has not been abandoned for a negotiated end to the occupation. According to him it is normal to talk to the Tuareg separatists and Islamist group Ansar Dine (Defenders of Faith) because they are Malian. He also says that they will try to look for a way for them to agree to come back into the republic and abandon their secessionist ideas in order to make peace. Representatives from the West African bloc, the African Union, the European Union and the United Nations are all present at the Bamako conference. Guinea’s former transition leader General Sekouba Konate, who was appointed by the African Union to make the imagining West African force in Mali operational, will arrive in Bamako on Sunday to take part in talks.